Hi all! There's so much holiday and Christmas loveliness in the Flickr embroidery pool this season that I thought I'd start a Countdown to Christmas! Every day, I'll be sharing a new pic with you from the pool until we get to the big day. 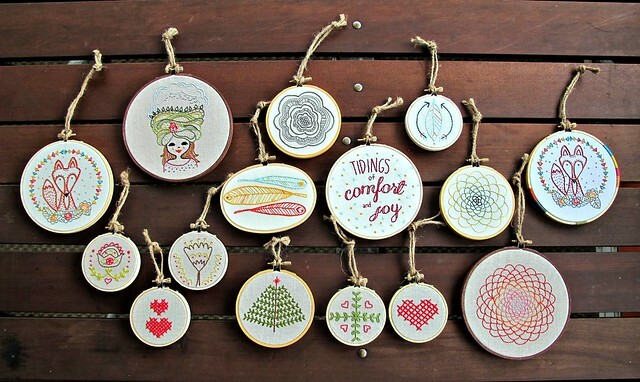 This gorgeous assortment was stitched by cozyblueliz - if you love what you see, you might want to drop by her Etsy shop. woow *_* I looove these hoops!